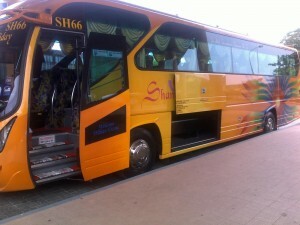 Shamisha Express started the business by arranging transport services for factory workers in the area of Kulim and Prai. In recent years, Shamisha Express has expanded their business to express bus and had gained the momentum to become one of the pupular coach servie prodider in Malaysia. 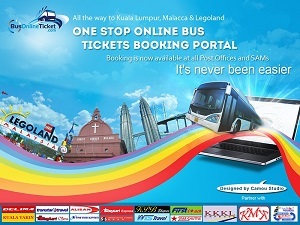 You may find their coaches almost everywhere in Peninsular Malaysia, including eastern coast of Peninsular Malaysia. The cities under their network in Eastern coast of Peninsular Malaysia include Jerteh, Jetty Kuala Besut, Jetty Merang, Jetty Shahbandar, Dungun, Kuala Terengganu, Kota Bahru, Pasir Puteh, Pasir Mas, Tanah Merah. Some of the destination like Jetty Kuala Besut, Jerteh and Jetty Merang are major gateways to diving paradise Perhentian Island and Redang Island. Shamisha Express coaches are equipped with enhanced safety features, rest assured you will have a safe journey. Their Super VVIP Coaches are spacious enough to ensure your highest comfort at the same time reducing tiredness to the minimum during your travelling time.